Students amaze me. They have talents that, as a specials teacher, I may never see or know. This week one of my 500 students, Lauren, came into my room carrying an 11-inch by 17-inch stapled document. She handed it to me with a smile. "I made this, Mr. Wilson." Title Page of Lauren's comic, MONSTER HIGH. Page two. Notice the sequence of the story and the panel layout. I read it in front of her and immediately asked her permission to reprint this at TGC. (I also contacted her mother for permission to publish her art and her first name.) 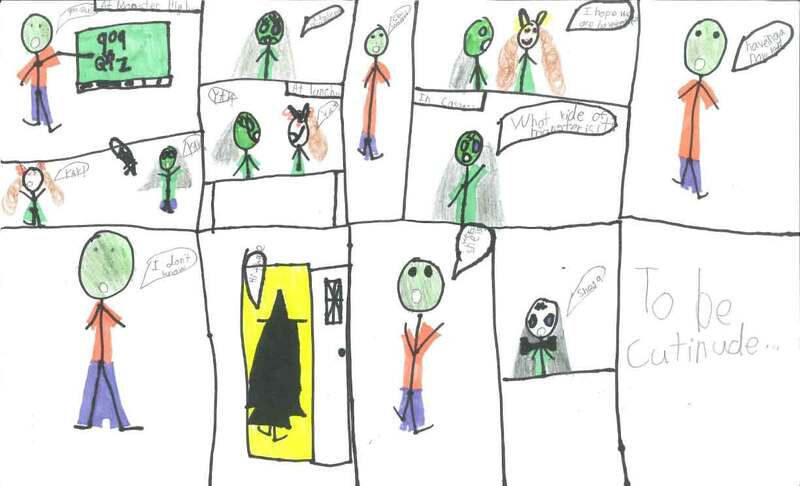 This comic is on par with many of the comics created by my third and fourth graders. She has well developed sequence and complex panel construction. 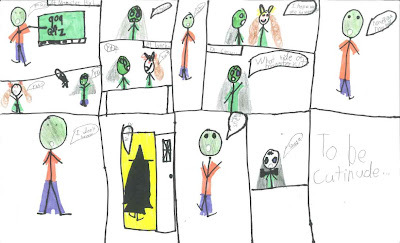 I was also impressed with her choice to create stick figures yet color the characters as if they were shapes. 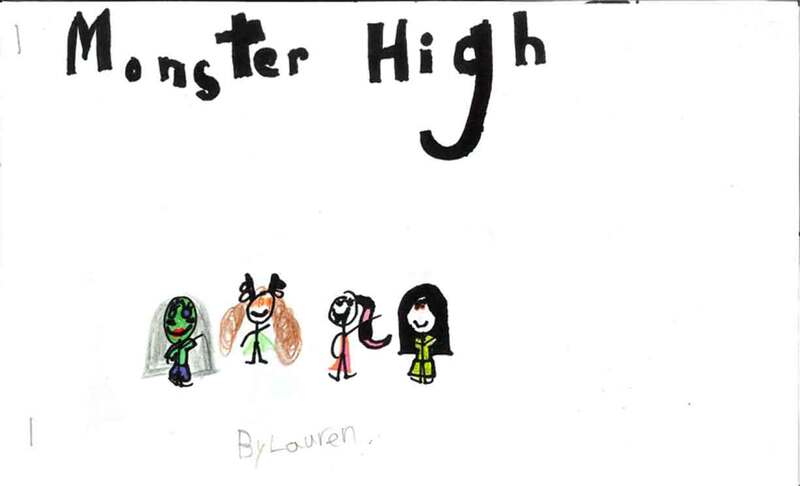 It is also significant that she chose a title page. I find many students –– even older students –– Just cram a title onto the story page like a narration box. Not Lauren. Her literary and artistic was thought out. I can only hope Lauren will continue the comic and also allow me to publish the next installments. I think this comic illustrates how comics literacy –– reading and creating –– can be used to teach literacy skills from the front end (reader) and back end) creator) point of view. Beautiful. She's only in first grade.